Young girls in different parts of Bihar often grow up with limited knowledge of menstruation and about their sexual and reproductive health rights. They often find themselves with incorrect information about their bodily changes. Sexual & reproductive health education is rare in schools and most often, majority of young girls do not attend any formal education. Restless Development is the implementing partner of the project named ‘Making Periods Normal’, funded by Rutgers WPF. The programme is being implemented in the Munger and Bhagalpur district of Bihar, from 2014 to 2017. The target groups of this programme are women, out-of- school and in-school youth, men and stakeholders like ASHA, Aganwadi, community leaders etc. The programme focuses on promoting knowledge among girls and women on puberty, menstrual health and sexual and reproductive health as well as creating conducive environment for them by engaging stakeholders. 75% of girls across India don’t have any knowledge of what material should be used during menstruation and were majorly using cloths which were unclean. 25% of out-of- school girls were not using anything during their periods. To tackle the issue of insufficient information on menstruation, they are implementing a full programme specially designed for young girls on menstrual health hygiene management. The sessions are designed in a manner that give young girls the space to learn about body changes and speak about their health issues. In order to provide a more holistic approach Restless Development includes trainings for teachers, mothers, peer educators and young boys in our programme. They created a pool of 40 peer educators specifically trained to provide knowledge and guidance to young girls in their communities and districts. The number of girls who could report menstruation as a sign of puberty went from 4% to 58%. 80% of young people involved in our intervention could identify problems experienced by girls during menstruation. 92% of girls who used cloth during the menstruation said that they dried their used cloth in sunlight. Awareness about sexually transmitted infections increased to 78% from 58%. The objective of this initiative is to educate young people on puberty and menstrual health to help them adopt safe health practices, and educate teachers/parents, peer educators the importance of educating young girls on menstrual hygiene. Reaching more than 90,000 young people and having trained 40 educators on Sexual & Reproductive Health Rights (SRHR), restless development did not stop there and eventually designed a special mobile app called M-Sathi to make SRHR education accessible to all. In the summer of 2016, Influx Trust approached the UN SDG Action Campaign with a simple yet ambitious idea: what if we could host simultaneous hackathons around the world, bringing together the best in social enterprise to crowdsource solutions for the SDGs? 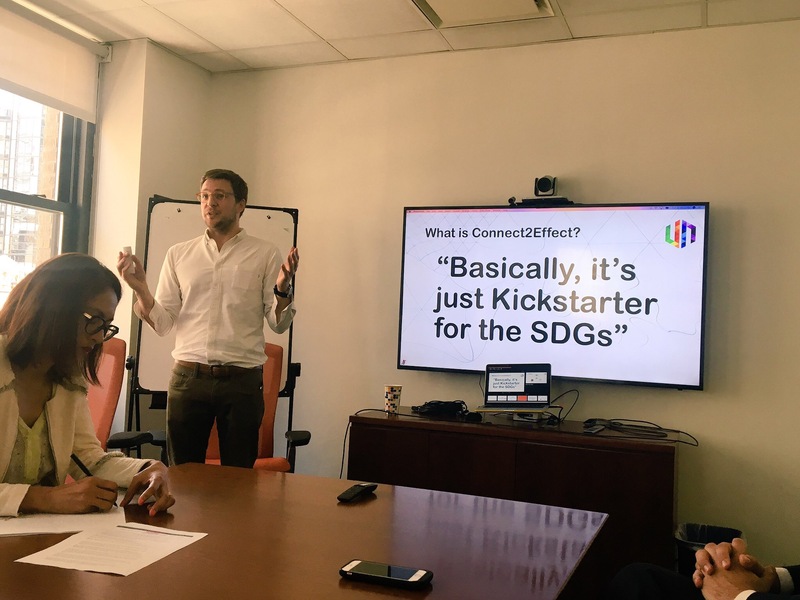 From 16-17 May, the #connect2effect project held its concluding activities, bringing together winners from Bali, Chandighar, and London with diplomats UN colleagues, innovators, and many other stakeholders at the United Nations. In March, 750 social innovators completed a 48 hour hackathon, organized simultaneously in 9 cities around the world. These winning teams were coached to hone their ideas, which were presented on a new crowdfunding site, https://crowdfunding.connect2effect.com/. This site will promote the ideas emerging from the hackathon and any other creative projects supporting the SDGs in the future. “#Connect2Effect is testament to the power of collaboration possible between the UN and social entrepreneurs in addressing the SDGs together. We’re delighted that this joint effort by the UN SDG Action Campaign, Influx Trust have paved the way for optimising worldwide impact on the SDGs” said Max Kalis, CEO & Founder of Influx Trust. During their visit to New York City, the winners presented their ideas numerous times at the United Nations Headquarters. The audiences of representatives from the United Nations, including the Office President of the General Assembly, UNDP, UN Women, the Office of the Secretary-General’s Envoy on Youth, witnessed the progress made, learned about the hacking process, and discussed the details of the ideas of the winners. Following the pitching roundtable, the winners were invited to an intimate meet and greet with H.E. Mr. Peter Thomson, the President of the UN General Assembly, who received them in the General Assembly Hall itself. The President mused about the ideas, congratulating the teams on identifying some interesting local problems, and coming up with very innovative solutions. The President was impressed by the quality of all winning projects. He identified with Niskala’s cultural waste program, having attended Balinese traditional ceremonies many times as a Fijian. He applauded Paperless’ commitment to working with those most in danger of being left behind in India through their magnetic braille tablet, and he was intrigued by eQuality’s way of empowering consumers with the knowledge to make more ethical decisions. The meet and greet concluded with a photo opportunity on the dais of the GA, with the President surrounded by the winners and organizers. The final pitch was given by all teams during A View From the Cloud, organized by World Council of Peoples for the United Nations and the Streaming Museum. This event united artist, scientists, policymakers, entrepreneurs, and civil society in a series of thoughtful discussions on how art and technology can influence and change our world. “The experience of coming to New York and sharing their initiatives with UN representatives has been invaluable to this year’s winners of Connect2Effect. It has offered opportunities to improve not just the prospects for their work but has also provided powerful inspiration for these social entrepreneurs personally,” concluded Kalis. 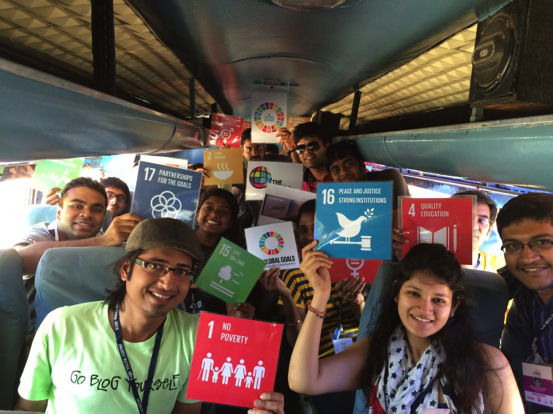 Ever wonder what can happen on an epic train ride across India to talk about the SDGs? Here’s your answer! 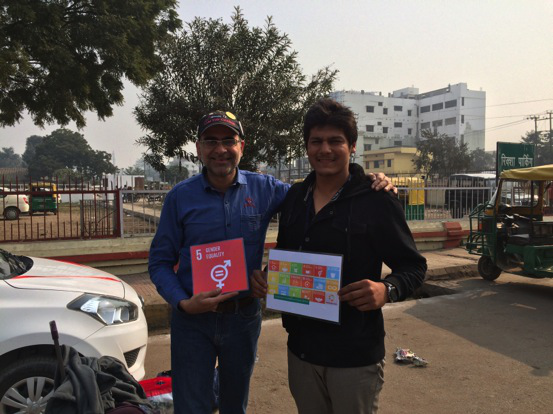 I was a part of a Jagriti Yatra journey with 449 other young people to 12 destinations in India to share news on the SDGs and the World We Want. A Yatra takes us along the major challenges and help us shape our own ideas. It dives into the rich cultural heritage that our country is honored with and experience the shift in climate as the train proceeds from South to North. The Yatra is the germinating ground for ideas and exchange of culture. It is a place where individuals from different backgrounds come together and feel the responsibility of being the change. Fifteen years is what we have to create a better society and youth is the Only Catalyst. Yatra teaches us the best to way to contribute. Get down to the society and get our hands dirty! 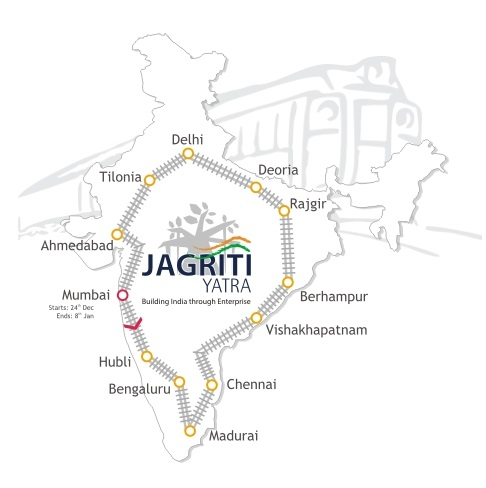 Jagriti Yatra is a 15 days, 8000 km world’s largest national train journey, which takes selected youth to meet the role models who are developing unique solutions to India’s developmental challenges. It attracts 17,000 registrations through India and some parts of the world of which only 450 of the most qualified are selected for the journey. The train stops in 12 locations and youth delegates have the opportunity to personally meet exceptional change-makers who are transforming India. Jagriti Yatra has been a transformational journey, which aimed for an equal representation of young women and men to achieve the Planet 50-50 by 2030. Jagriti Yatra had 40% girls and women representation in 2015. During my Yatra (Journey), I had been advocating for the Sustainable Development Goals (SDGs) and the World We Want platform. Sustainable Development Goals need to be trickled down in the society through the youth body channels and it’s very important for youth to know about the SDGs. Unfortunately, a minority of us know about our vision of 2030. Thereby, it’s essential for us to show a clear vision of the next 15 years before we actually jump right into achieving the goals. Gender Equality is not a short-term goal. However, we need to start bringing a shift in the mentality of the people from today by talking about the equal opportunities. 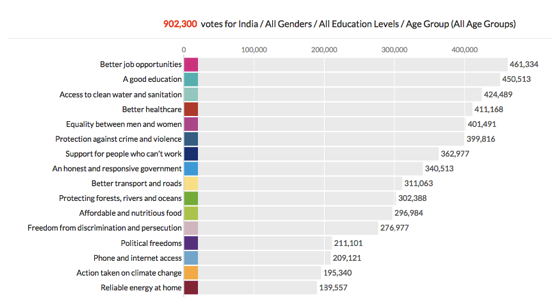 Through the MY World 2015 Survey, we can see that of the 902,300 people who have voted in India, over 400,000 prioritized Equality between men and women, making Gender Equality the number 5 most prioritized issue in the survey. Young women and men are the carriers of our vision and we need to engage discussions with more young people. The role of young people is not only important as actors in attaining gender equality, but also as partners in creating a world that is equal if we want to achieve the goal of planet 50-50 by the year 2030. 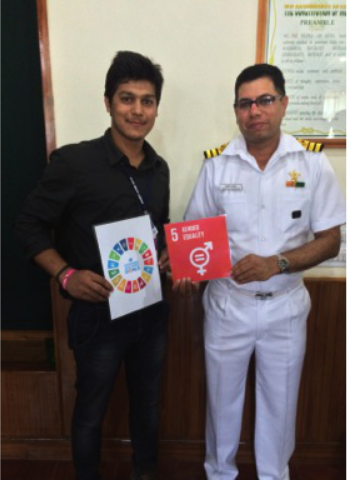 Campaigns such as HeForShe, MARD, #YouthForGenderEquality need strengthening as we move towards the SDGs. Life on the train is as busy as it gets! With a packed schedule of debates, presentations and conversations, and a blend of art, music and poetry, Yatris find themselves fully involved at all times. The Yatra sets out to be a life changing experience for us to catalyse that shift in mindset. Not only to you but through you, to millions of youth who are watching this expedition as it curves across this great and beautiful land of ours. When we hear how our inspiring role models have created their institutions surmounting all odds; when we hear of the stories of leadership and courage from our co-travellers, we discovered an India that waits to be unleashed. You are that dynamic spirit that will unleash a new society. 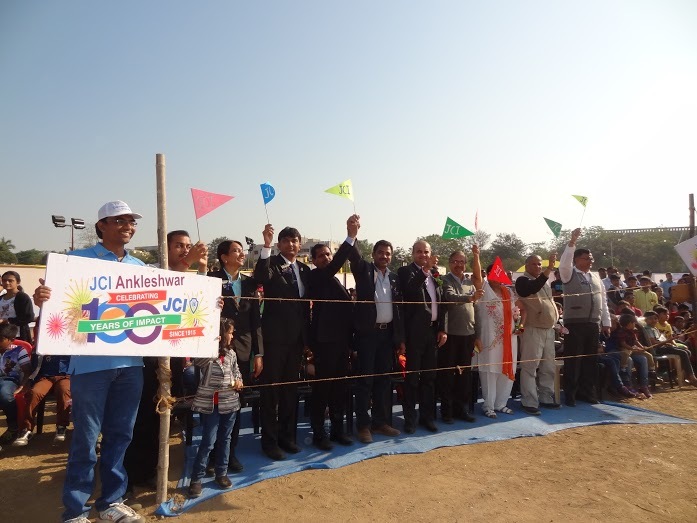 The 1st phase of the MY WORLD awareness launch was done during the Trade & Fun Fair of JCI Ankleshwar – an Annual event that has been held for last 12 years. The event was launched by Imm. Past President of JCI India Deepak Nahar, in the presence of 5000 people in Ankleshwar, India. Attendees included children and adults from all different walks of life, as well as community leaders such as Zone President of Gujarat Hemal Shah, Ankleshwar Industries Association President Chandresh Devani, President of JCI Ankletshwar Dhiren Shah, Project Chairman Sangita Nahar and other dignitaries present. In order to draw attention to the importance of MY World as a means of engaging the public in the UN’s Sustainable Development Goals and to create the World We Want, we planned an innovative way to attract attention to our event – by organizing an Educational Aeromodelling show. During an aeromodelling show, model planes are flown to demonstrate the aerodynamics of a standard plane. These kinds of shows are exciting and captivating– a great way to bring the community together! The Ladies Wing and the Junior JCI Wings of JCI Ankleshwar took up the responsibility of organizing the Educational Aeromodelling Show. To cover the cost of the Show, we sought sponsorship from local business houses, companies, banks and jewellers. Special thank you to our sponsors, including: Garden City Resorts, Paras Jewellers, and Lupin Chemicals Ltd. Tickets for the show were sold through students in 15 schools of Ankleshwar. Students from several schools, were children of Industry workers are studying, were allowed free. On the day of the show, 500+ students formed a human “MY WORLD” (see photo above). During the show, the importance of putting across our voices to create the World We want was announced to all the 5000+ people gathered, majority of them students. A My World stall allowed spectators to vote offline on pre-printed ballots. We also displayed cards of all the 16 priorities as well as a MY World – JCI Banner. To get the attention of all the media and press, a MY World-JCI Banner was towed behind one of the Miniature Airplanes to fly up in the Sky. The event was covered in Gujarati state channels like TV9 Gujarati, GSTV and in local News papers! The teachers of the school have agreed to conduct the survey during their classes. We have now also requested few schools to come up with volunteers who would like to go to the nearby villages to collect rural votes. We are planning to print the survey forms in local language – Gujarati for collecting rural votes. This shall be completed by March. The students and teachers are excited to be part of the worlds largest global survey to create the World We Want! MY World reaches 5 MILLION votes – The Celebration! THANKS A (FIVE) MILLION TO ALL MY WORLD PARTNERS! The evening of 25th of September during the UN General Assembly week brought together MY World friends from far and near, in person and via live web-stream – and these MY World friends had 5 million reasons to celebrate! The hard work of dedicated MY World partners brought the voices of 5 MILLION PEOPLE from 194 countries into the United Nations. MY World has had very extensive support from a range of partners, over 700 organizations, including NGOs, heads of state, faith groups and youth movements who are still currently participating in its roll out and this collective achievement provides the perfect backdrop for a MY World Partner Recognition Event and MY World Award Ceremony which took place in New York during the UN General Assembly week. This global survey, thanks to the dedication and enthusiasm of all is now the largest survey of its kind ever undertaken. Today, I would like to talk about the person who changed my dream of working for development on a global level into reality. He is the person tp whom I give all the credit. He has been a strong pillar to support me in my initiatives and has helped me implement them as planned. He’s the sole reason of the fruit of my efforts. I owe my success in the MY World 2015 and the World We Want 2015 campaigns entirely to this great mentor. He’s the one who also made me realise that women and youth should be involved in this project in order to get the desired outcome. He is none other than Mr. Ravi Karkara Ji. Even a hundred words would be less to express my gratitude towards this great personality. Thanks a million Ravi ji. ‘A youth is the nation’s blood and the architect of tomorrow’s world’. I indeed feel honoured and privileged to work as a Global Youth Advocate for the My World 2015, and World We Want 2015 campaigns. This came about through my inspiring meeting with Ravi Ji. To live up to the responsibility envisaged upon me as a Global Youth Advocate, I have concentrated my entire focus on involving people from different strata of the society, as well as other initiatives to mobilise and strengthen the campaign. For the same, I have collaborated with Radio Channels, Technical Book Publishers, over 50 educational institutes, hospitals, Private Sectors, NGO’s , political representatives especially women and youth , government schools from rural areas etc. for the promotion of the campaign and thereby motivate people to bring about the change through My World 2015 and World We Want 2015 Campaigns . By Ms. Natasha Kanvinde, MY World 2015 Youth Ambassador. Ms. Kanvinde has collected over 3,000 votes in the past month and she continues to reach out to youth in the poorest regions in India. The annoying ringing of my alarm clock woke me up at 5am on a Friday morning. My unaccustomed system groaned in protest, but I heaved myself out of bed. I almost had second thoughts about going on the trip, but then I remembered I wasn’t working for myself, but for the greater good. Little did I know, that today was going to be one of the best days of my life. This is a letter written by Aakash Shah, Founder and President of Action for Pune Development, and Global Youth Advocate for MY World 2015 and World We Want 2015. He is striving to collect a million votes in Pune, India. It is an honor to work as a Global Youth Advocate for My World 2015, and the ‘World We Want’ platform. As a Global Youth Advocate, I focus on involving people from different areas of society, as well as other initiatives to help mobilise and strengthen the campaign. I have collaborated with Radio Channels, Technical Book Publishers, over 50 schools, hospitals, Private Sectors, NGO’s etc. to promote the campaign and to collect votes. There are over 50 MY World 2015 Youth Ambassadors around the world who help promote awareness about the importance of this campaign. In order to better explain each priority in the ‘MY WORLD 2015’ survey, we are organising various events in public areas that have to do with specific priorities in order to maximize the interest and understanding of each priority. For example, we organised a book donation camp to help people further understand the priority of ‘a good education’. We had various people donate books which we then gave to the needy & under-privileged. Similarly, we organised a Tree Plantation Drive on World Environment Day to support the priority of ‘Protecting Forest, Rivers and Ocean’. YASR, Youth Action for Social Responsibility, is one of the many MY World partners in India. This organization has distributed our survey across the nation, specifically in the district of Panna, a municipality in the state of Madhya Pradesh famous for it’s natural resources and wildlife reserves. Reaching out to over 1,000 individuals in this tribal community, YASR spent several days informing and engaging local families on the MY World initiative, and educating them on the Millennium Development Goals and Post-2015 process.